The 10th annual “Bike through the Forest and Hills” is ready to once again put you to the test. 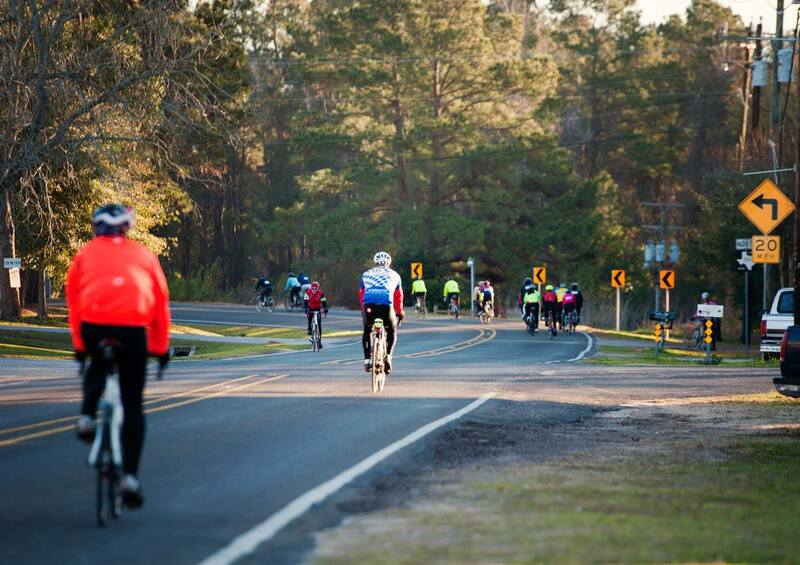 Described by previous participants as one of the most beautiful and challenging bike rides you will find, Bike through the Forest and Hills is the perfect training ride for the BP MS 150 (Recommended Ride). 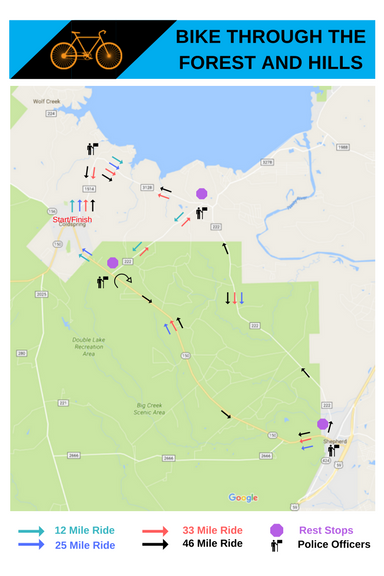 The ride then levels out onto clean and open scenic roads into the “Forest.” Your return dash to the finish brings you face-to-face once again with those challenging hills. Perfect preparation for the end of Day 1 on the MS 150 and the start of Day 2 through Bastrop State Park! Routes: 25, 32 and 46 miles…. 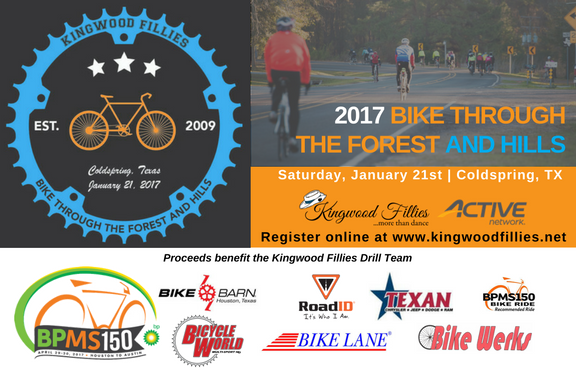 The routes include distances which allow riders of all skill and fitness levels to participate with the 46 mile route described as “one challenging ride.” The specific routes and registration buttons are posted at www.kingwoodfillies.net. Banana Muffins! We are known far and wide for our banana muffins, which are often described as the highlight of the ride. The ride has full SAG support and multiple rest stops. This ride also includes all fruit and drinks along with port-o-potties at every rest stop. So whether you need to take a break, need help with a flat, just need a lift or are looking for one more banana muffin, we will be there for you. After the ride, you can sit back, relax and get something to eat. 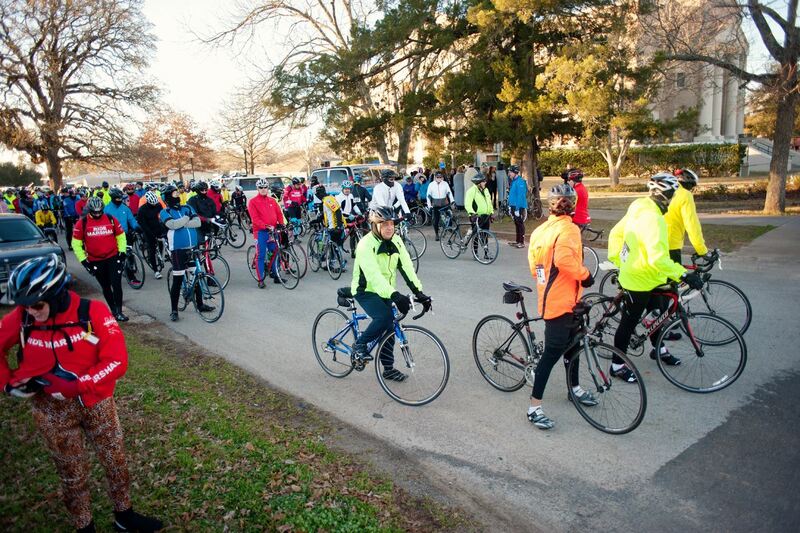 Additionally, downtown Coldspring offers many local restaurants, cafes and quaint shops to enjoy following the ride. We look forward to riding with you…. Packe Pick Up from 6am-8am on day of ride only.